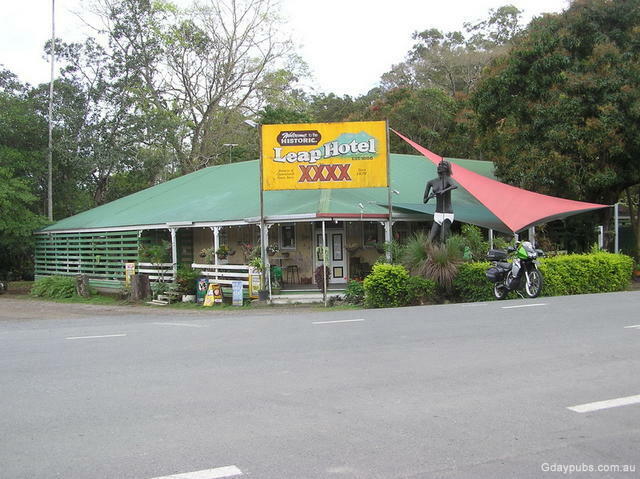 The Leap Hotel Located North of Farleigh on the Bruce Highway. Via Mackay. * Pub Grub, Australiana and classic Qld Pub surrounds. A must stop.